​I started my weight loss journey in September of 2007 at a whopping weight of 292.8 lbs. That much weight on a 5’3” female frame was taking its tow on my body. I did absolutely nothing as far as exercise. One evening, a friend came up to me at one of my daughter’s volleyball games, and asked me to join a weight loss program. I hesitantly agreed. I started walking a little bit with my husband. He would beg me to go for a walk. I would hesitantly agree to go, but only to the bridge and back, which was only about ½ mile. Eventually, I got up enough courage to go to the Owensboro Health Park with my dad as a guest one day. I wanted to go where I didn’t know anyone and no one knew me. I mean, really, there were two gyms in my home town, but instead of joining one of them, I joined the Health Park in Owensboro. Talk about going out of my way. Eventually, the drive got to be too much for me so I decided to join a local gym. I joined Everbodys in 2009. I started going in the mornings, working out on the elliptical and treadmills. I continued with my weight loss journey and purchased a bike. I would ride my bike for exercise rather than walk. Within a year, I had lost 100 lbs. Then in 2010, Everbodys started offering spinning classes. They had spinning at the Health Park but I was too scared to try it. It looked really difficult and those people were so fit. I probably couldn’t keep up with them and I would look like a wuss. So I gave spinning a try at Everbodys. Breanne was such a motivating, inspiring instructor and the classes were small enough, I didn’t feel intimidated. OMG, I loved it. I mean next to riding outside, this was an exercise I could learn to love. I decided to get my certification as a spinning instructor. Once I did, Breanne offered me a job teaching spinning at her gym. I was so honored. I mean, really? I get to lead spinning class, something that I love, and encourage and inspire other people to love it as much as I do? H-A-P-P-Y-G-I-R-L! 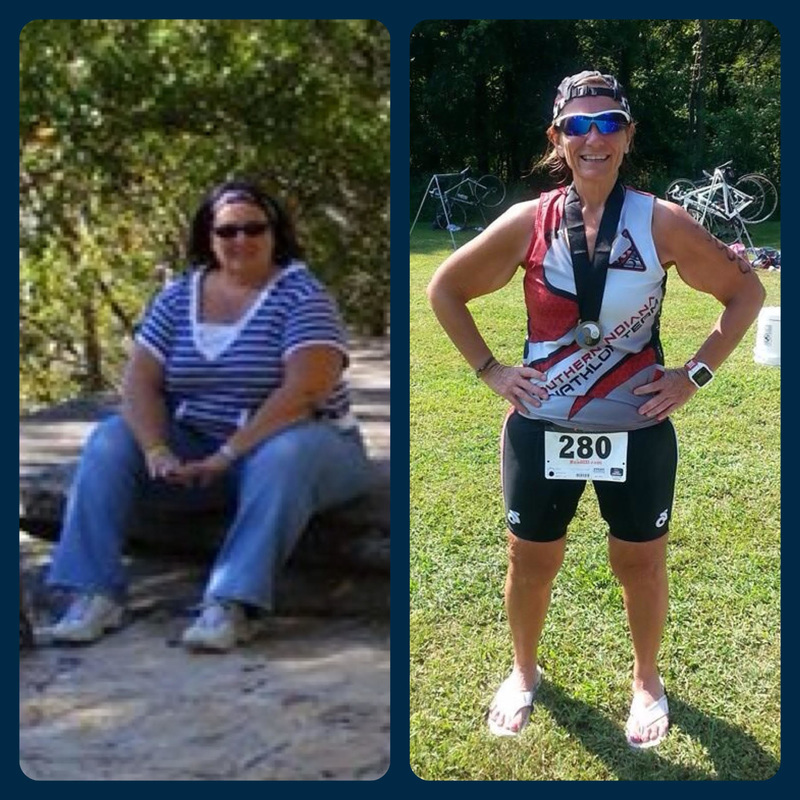 To this day, I am still trying to reach my goal weight, continue to lead spinning classes, have coached several Biggest Loser teams, and competed in triathlons. I continue to train towards my dream of becoming a full Ironman, which is planned for September of 2016 in Chattanooga. My life has changed astronomically since joining the gym. I never knew there was an athlete hidden beneath all the weight I was carrying around. I am so happy that I made the decision to join Everbodys. If you are thinking you are ready to make that decision and lose weight or want to get fit, please join Everybodys Fitness. You won’t regret it. Everyone is so welcoming and it really is like a second family. Once Breanne purchased the gym, I saw so many improvements in how the gym was run. She not only touches the lives of her members and employees, and treats them like family, but she truly has made a positive impact on the entire community. A true heroin we have here right in our home town.